Estate: The Fontodi estate has been in the hands of the Manetti family since 1968. The family has been strongly connected to the Chianti region for centuries, producing Tuscany’s famous “terrecotte” tiles. Located in the stunningly beautiful hills of Panzano, the 130 hectare estate [70 of which are vineyards] is certified organic. Inspired by nature and sustainability, the estate is committed to maximizing “the internal resources of the estate, thereby reducing the need for any external input”. Winemaking: Grapes are hand harvested from the Case Via and Pecille estate vineyards, both with a south exposure. Fermented in temperature controlled stainless steel tanks with indigenous yeasts for 3 weeks, aged in Troncais and Allier barrels, 50% new for 12 months. Tasting Notes: Inky violet in colour with intense dark fruit, gamey and meaty aromas. 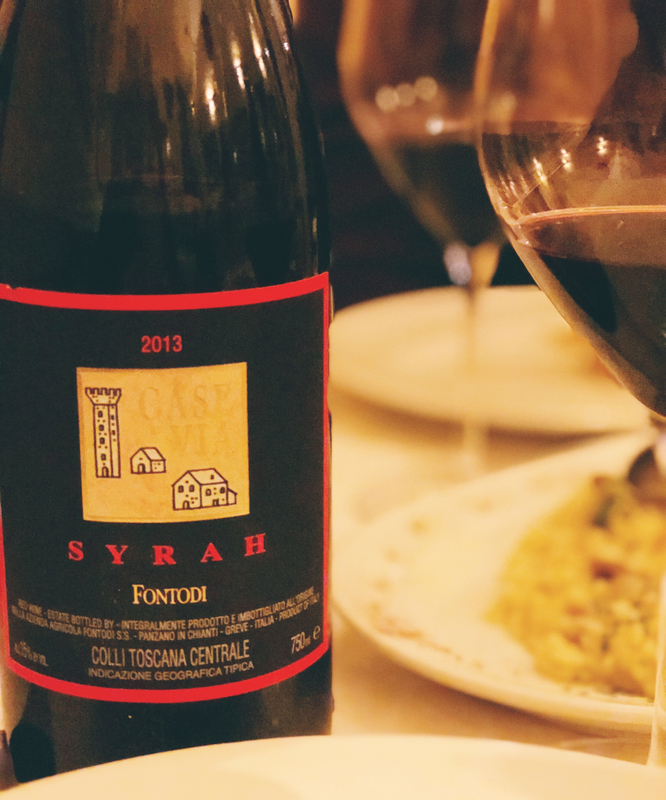 Layers of rich blueberry, blackberry and black pepper are framed by solid tannins and fresh acidity. Smoky earth and peppery spice linger between each plush sip. Powerful, muscular and with a bold alcohol content, yet maintains such an approachable, easy drinking character that the bottle empties rather swiftly.